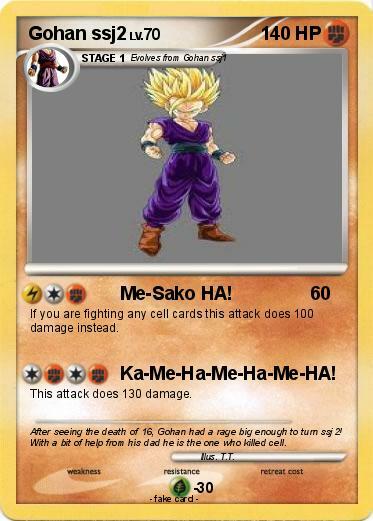 Attack 1 : Me-Sako HA! If you are fighting any cell cards this attack does 100 damage instead. This attack does 130 damage. Comments : After seeing the death of 16, Gohan had a rage big enough to turn ssj2! With a bit of help from his dad he is the one who killed cell.